Earlier this year, we had reported that Housefull 4 will mark the return of Sajid Khan as the director. 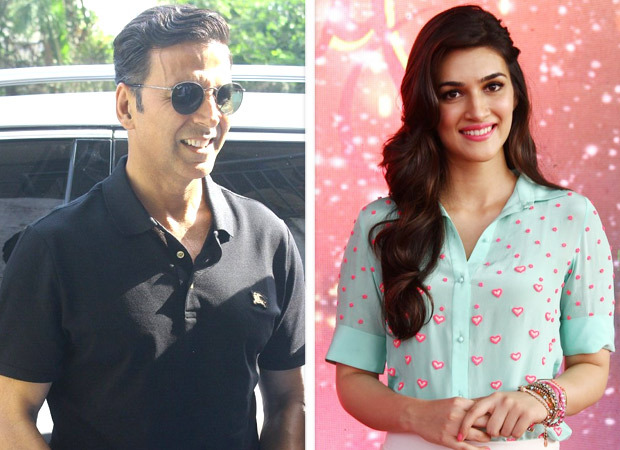 With a new casting in place besides Akshay Kumar and Riteish Deshmukh being retained for this fun filled ride, the film will feature Kriti Sanon opposite the superstar for the first time. The comedy franchise will also have some unique elements in the form of the reincarnation theme, for which it will be shot extensively in Rajasthan. Latest update on that front is that the team of Housefull 4 has moved to Jaisalmer to continue the schedule of the film. After shooting the much famous Ranthambore forest in Rajasthan, the team has now moved to the city of Jaisalmer where they will be shooting the Jaisalmer palace. Furthermore, the team is also expected to be enjoying the hospitality of the palace since they have also been camping there for this important schedule of the film. Excited about the same, Kriti Sanon confirmed on these details in recent reports. Also, it is being said that the film will have funny war sequences which will be a spoof of sorts of films like Baahubali. Speaking on the same, Kriti revealed that they are indeed shooting these comical battle sequences and that she is looking forward to see them on the big screen since a funny take on the war is something that we haven’t seen before in Hindi films. The actress is also charged a completely different avatar of a different era in this film. Interestingly, this is Kriti Sanon’s second film on the subject of reincarnation. She had earlier done a romantic film with her alleged beau Sushant Singh Rajput in Raabta. However, Housefull 4 will be her first out and out comedy film on this topic. Besides Akshay, Kriti and Riteish Deshmukh, Housefull 4 also stars Bobby Deol, Pooja Hegde and Kriti Kharbanda in lead roles. The film, that also had a major schedule in London, is expected to hit the big screens next year.